"Do you think that the Obama administration has done an appropriate job handling the Ebola crisis?" an MSNBC reporter asked. "Umm," Pryor started according to The Weekly Standard, "I would say that it's hard to know because I haven't heard the latest briefing on that to know all the details. I mean, I read the paper and all, but my impression is that we have people over there both from CDC and other medical-type people, and even some engineers to try to build, you know, medical facilities. That's what they need over there. They need the medical infrastructure." The reporter followed up, "Have we been aggressive enough in helping these people?" "Umm," Pryor again started, "again, I have to see the latest numbers." Please click this link to want to watch the video on YouTube and judge whether Pryor’s non-answer answer provides the kind of engaged oversight these dangerous times require from members of the Senate. We contrast Pryor’s disengaged and fumbling answer during which he dances around trying not to show (a) that he has no idea what’s going on, and (b) say anything that might remotely resemble criticism of President Obama’s failed health security and national security policies, with what North Carolina Republican Senate candidate Thom Tillis said under similar circumstances – close the border to anyone arriving from Ebola hotspots, such as Liberia, Sierra Leone and Guinea. 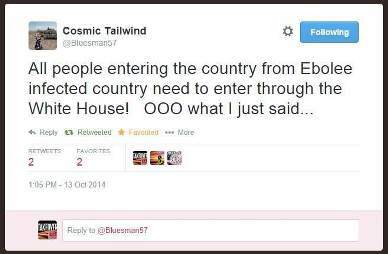 That is a position shared by the way by David Dausey, a Yale-educated disease researcher, who argues that the bungled handling of the Thomas Eric Duncan case in Dallas proves the United States must close its borders to keep Ebola out of the country. This story of Senator Pryor’s Ebola fumble just broke, so we have yet to hear from Pryor’s Republican opponent in the Arkansas Senate race, Tom Cotton. Please join us in urging Rep. Cotton to come out strongly against Obama’s failed border security policies that have allowed Ebola to enter the United States and that have allowed whooping cough and Enterovirus 68 to become epidemic in our nation’s schools. You can contact Tom Cotton through this link or through our “contact the Republican candidates” page. Tell Rep. Tom Cotton you want to hear him come out strongly against the Obama policies that have allowed Ebola, whooping cough and Enterovirus 68 into America. Tell him you are appalled that Senator Pryor has refused to clearly state his opposition to the failed border security policies of the Obama administration that allowed Ebola to enter the United States undetected for the first time. Tell him that health security and border security ARE national security. 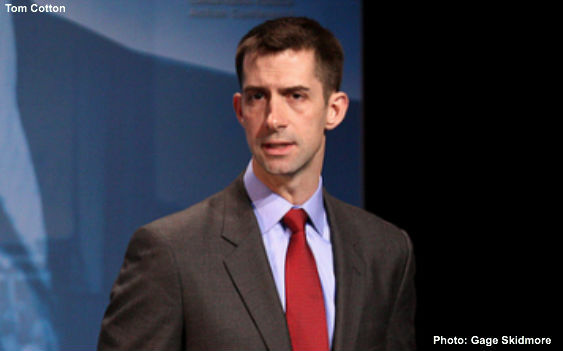 Finally, tell Tom Cotton that conservatives are looking for a strong statement clearly stating his opposition to the lawless Obama open borders policy and that issuing such a statement will demonstrate that he is the kind of leader needed to protect America in these troubled times.